Amy Laderberg O'Sullivan: Government Contracts/Litigation & Trial Lawyer: Washington, D.C.
Named to Law360's list of Government Contracts "MVPs" in 2017. Amy Laderberg O'Sullivan is a partner in the firm's Washington, D.C. office, a member of the Steering Committee for the firm's Government Contracts Group, and the Chair of the firm’s Diversity Council. Her practice involves a mix of litigation, transactional work, investigations, and counseling for corporate clients of all sizes and levels of experience as government contractors. On the litigation side, she has represented corporate clients in bid protests (agency level, GAO, ODRA, Court of Federal Claims, Court of Appeals for the Federal Circuit, as well as state and local bid protests in numerous jurisdictions), size and status protests before the U.S. Small Business Administration, claims litigation before the various Boards of Contract Appeals, Defense Base Act claims litigation at the Administrative Law Judge and Benefits Review Board levels, civil and criminal investigations, and she has been involved in complex commercial litigation. Amy's counseling practice ranges from the day-to-day survival issues facing small businesses to the complex and specific legal questions from large defense contractors. She regularly works with the unique issues confronting small business as well as those arising in connection with teaming and contracting with small businesses, including navigating the SBA's regulations in such areas as affiliation; limitations on subcontracting; the mentor-protégé program; the SBIR program; and small business, 8(a), ANC, and SDVO SBC status issues. She reviews and negotiates terms of subcontracts, teaming agreements, mentor-protégé agreements, and joint venture agreements. She has provided counseling on various issues and risks associated with OCONUS contracting and the Defense Base Act. Amy has also assumed numerous roles in connection with the mergers or acquisitions of government contractors, including conducting due diligence reviews, compliance with SBA notice and approval requirements, preparing/negotiating government contracts specific representations and disclosure schedules, and handling the novation of contracts. She has lead internal investigations for major corporations of potential civil and criminal matters and assisted in disclosures to various government agencies. She has counseled clients on establishing, enforcing, and maintaining overall compliance programs. She has provided on-site training for companies on a range of issues, including contracting with small businesses, ethics and compliance issues, and basics of government contracting. She has also served as a course instructor for Federal Publications Seminars for a number of topics, including bid protests, past performance, basics of government contracting, cost-reimbursement contracting, and A-76 procurements. Successfully challenged U.S. Department of Labor award of an approximately $100 million contract for operation of the Los Angeles Job Corps Center based on unequal discussions associated with revisions to proposed key personnel. YWCA of Greater Los Angeles, B-414596 et al., July 24, 2017, 2017 CPD ¶ 245. Obtained a recommendation that the agency reimburse a protester for costs of filing and pursuing a protest challenging the agency’s implementation of corrective action where the agency unduly delayed taking corrective action in response to a meritorious challenge that the Department of the Army failed to evaluate proposals using a common baseline. TRAX International Corporation—Costs, B-410441.8, Aug. 17, 2016, 2016 CPD ¶ 226. Successfully challenged offeror’s exclusion from the competitive range for the Department of Justice’s investigative support services for the asset forfeiture program. Arctic Slope Mission Services, LLC, B-410992.5, B-410992.6, Jan. 8, 2016, 2016 CPD ¶ 39. In corrective action protest in connection with a $700 million U.S. Army Corps of Engineers procurement for the permanent canal closures and pumps for New Orleans, successfully obtained a finding from the Court of Federal Claims that the GAO decision was, in part, irrational. CBY Design Builders v. United States, 102 Fed. Cl. 303 (2012). Successfully defended an award by the Social Security Administration for support services for the agency’s folder storage operation at the National Records Center against two challenges before GAO. Eagle Eye Electric, LLC, B-415562, B-415562.3, Jan. 18, 2018, 2018 CPD ¶ 33; Dextera Corporation, B-415562.2, B-415562.4, Feb 5, 2018, 2018 CPD ¶ 66. Successfully defended the same award before the Court of Federal Claims. Eagle Eye Electric, LLC v. United States, No. 18-173C (Fed. Cl. May 31, 2018). Successfully defended a $300 million award by Customs and Border Protection for data center support services from multiple organizational conflict of interest challenges. IBM Corporation, B-415575, Jan. 19, 2018, 2018 CPD ¶ 61. Successfully argued for the dismissal of the entirety of a protest before GAO of an award for base operation and support for certain Marine Corps facilities on the basis of lack of interested party status. Successfully defended a $185 million award by the National Aeronautics and Space Administration for the provision of various information technology services for the John F. Kennedy Space Center. AbacusSecure, LLC, B-415175, B-415175.2, B-415175.3, B-415175.4, Dec. 6, 2017, 2017 CPD ¶ 375. Successfully defended an 8(a) sole source award by the Defense Intelligence Agency for approximately $20 million for facility support services from a challenge that the Small Business Administration improperly accepted the requirement into the 8(a) program. SKC, LLC, B-415151, Nov. 20, 2017, 2017 CPD ¶ 366. Successfully defended an award by the National Nuclear Security Administration for services in support of the Office of Personnel and Facility Clearances at Kirtland Air Force Base from challenges to the agency’s evaluation under the cost and non-cost factors as well as to the conduct of discussions. Synergy Solutions, Inc., B-413974.3, June 15, 2017, 2017 CPD ¶ 332. Successfully defended protest of award by the Department of the Air Force following corrective action upholding award of a 10-year, $200 million contract for aerospace systems technical research and operations services (ASTROS) at Edwards Air Force Base, California. Jacobs Technology, Inc., B-413389.3, B-413389.4, Jul. 21, 2017, 2017 CPD 244. Successfully defended protests challenging more than $58 billion worth of U.S. Department of Defense projects for Tricare “managed care support” contracts. UnitedHealth Military & Veterans Services, LLC; WellPoint Military Care Corporation; Health Net Federal Services, LLC, B-411837.2 et al., Nov. 9, 2016, 2016 CPD ¶ 329. Successfully defended the award of a $285 million task order issued by the Department of Veterans Affairs for help desk services. Systems Made Simple, Inc., B-412948.2, Jul. 20, 2016, 2016 CPD ¶ 207. Successfully defended National Aeronautics and Space Administration’s $200 million award for software engineering services. Systems Engineering Partners, LLC, B-412329, et al., Jan. 20, 2016, 2016 CPD ¶ 31. Successfully defended award of contract for test support services for the U.S. Army Operational Test Command at Fort Hood, Texas. Research Analysis & Maintenance, Inc., B-410570.6, et al., Jul. 22, 2015, 2015 CPD ¶ 239. Successfully defended GAO and COFC protests and Federal Circuit Appeal of protest of an Army award of a contract to manage two Family Health Centers in Virginia, defeating allegations of improper organizational conflicts of interest, improper discussions, and numerous evaluation challenges. CRAssociates, Inc. v. U.S., 102 Fed. Cl. 698 (2011), appeal denied per curiam at 475 Fed. Appx. 341 (Fed. Cir. Aug. 14, 2012). Successfully defend an award valued up to $229 million for information technology services against wide-ranging challenges to the National Aeronautics and Space Administration’s evaluation proposals of price, technical, and past performance proposals as well as the agency’s conduct during discussions. DB Consulting Group, Inc., B-401543.2, B-401543.3, Apr. 28, 2010, 2010 CPD ¶ 109. Amy has been named one of the top lawyers in the government contracts field by Chambers USA. She was named a fellow of the American Bar Foundation in 2018. In 2017, Amy was included in Law360's list of Government Contracts "MVPs." Amy received her B.A. with honors in art history and political science from Williams College in 1996, where she was also a member of the swimming, water polo, and rugby teams. She graduated from William & Mary School of Law in 1999, where she served as Notes Editor of the William & Mary Law Review and Articles Editor of the William & Mary Journal of Women and the Law. Prior to joining Crowell & Moring, Amy clerked for one year with the Honorable Jerome B. Friedman, United States District Judge for the Eastern District of Virginia. Amy is a member of the Bars of the District of Columbia, the State of Virginia, the United States District Court for the Eastern District of Virginia, and the Fourth Circuit. "Small Business Status, Investigations, and Consequences," OOPS 2018, Crowell & Moring's 34th Annual Ounce of Prevention Seminar, Washington, D.C. (May 17, 2018). Presenters: Amy Laderberg O'Sullivan, Stephen M. Byers, Olivia L. Lynch, and Jared Engelking. "SBA Opens the Floodgates: The New Government-Wide Mentor-Protégé Program," Crowell & Moring Webinar (August 4, 2016). Speakers: Amy Laderberg O'Sullivan, Olivia Lynch, and Elizabeth Buehler. "Recent Developments Impacting the Small Business Government Contracting Requirements," Webinar (July 19, 2016). Presenter: Amy Laderberg O'Sullivan. "Small Business Regulatory Shake-Up," OOPS 2015, Crowell & Moring's 31st Annual Ounce of Prevention Seminar, Washington, D.C. (May 5-6, 2015). Moderator: Amy Laderberg O'Sullivan; Panelists: Olivia Lynch and Gordon Griffin. 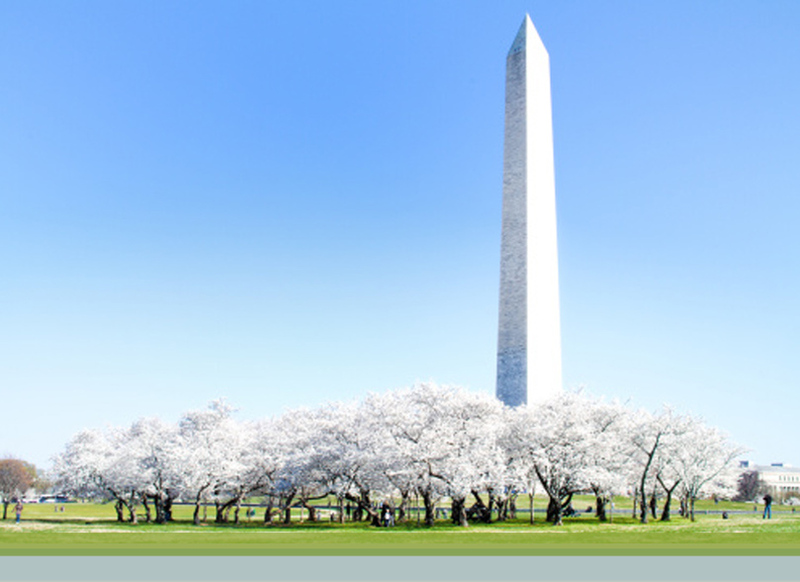 "Shifting Tides on the Bid Protest Front," OOPS 2014, Crowell & Moring's 30th Annual Ounce of Prevention Seminar, Washington, D.C. (May 13-14, 2014). Moderator: Amy Laderberg O'Sullivan; Presenters: Thomas P. Humphrey, James G. Peyster, and Olivia Lynch. "Breaking News – Key Elements of Crisis Management," West Coast Ounce of Prevention Seminar (WOOPS), Manhattan Beach, CA (April 8, 2014). Moderator: Daniel R. Forman; Presenters: Erica Elliott, Gail D. Zirkelbach, David J. Ginsberg, Amy Laderberg O’Sullivan, Jeffrey H. Rutherford, Angela B. Styles, and Megan A. Maitia. "Shifting Tides on the Bid Protest Front," West Coast Ounce of Prevention Seminar (WOOPs), Manhattan Beach, CA (April 8, 2014). Moderator: Amy Laderberg O’Sullivan; Presenters: Agustin D. Orozco, and Daniel Forman. "What Will the New Year Bring: Small Business," Crowell & Moring Webinar (January 9, 2014). Presenter: Amy Laderberg O'Sullivan. "Small Business: Enforcement Shakedown and Legislative Shakeup," OOPS 2013, Crowell & Moring's 29th Annual Ounce of Prevention Seminar, Washington, D.C. (May 15-16, 2013). Moderator: Amy Laderberg O'Sullivan; Presenters: Robert J. Wagman, Jr. and Alexina G. Jackson. "Big Changes for Small Business: Recent Regulatory Developments," L2 Federal Resources Webinar (April 24, 2013). Presenters: Amy Laderberg O'Sullivan and Alexina G. Jackson. "Small Business Size Determination: Identifying and Avoiding Affiliation Traps," L2 Federal Resources Webinar (November 15, 2012). Presenters: Amy Laderberg O'Sullivan and Alexina G. Jackson. "Bid Protests: Trends & Developments," Crowell & Moring's 2012 Ounce of Prevention Seminar (OOPS), Washington, D.C. (May 9-10, 2012). Co-Speakers: Daniel R. Forman, Amy O’Sullivan, and Derek Mullins. "Contracting With Small Businesses in the Wake of GTSI," Ounce OF Prevention Seminar (OOPS) XXVII (May 25-26, 2011). Moderator: Amy L. O'Sullivan. Speakers: Gunjan Taliti and Jacinta Alves. "The Universal Problem with Small Business Compliance: Spotting Risks and Finding Solutions," Webinar, (April 7, 2011). Co-Speakers: Richard W. Arnholt, Amy O’Sullivan, Gunjan Talati, and Jacob Blass, President of Ethical Advocate. "Government Contracts Bid Protests: Practice, Procedure and Strategy," Federal Publications Seminars (2010). Co-Speakers: Amy Laderberg O'Sullivan and Puja Satiani. "Contracting with Small Businesses in the Wake of Expanding SBA Programs and Scrutiny," Caught in the Federal Procurement Fish Bowl, 26th Annual Ounce of Prevention Seminar (OOPS), Crowell & Moring, Washington, D.C. (May 26-27, 2010). Presenters: Marc F. Efron, Amy L. O’Sullivan and Alexina G. Jackson. "New Required Disclosures of Proceedings and Settlements for Federal Contractors and Grantees," Crowell & Moring Webinar (May 6, 2010). Co-Presenters: Angela B. Styles, Shauna E. Alonge, Amy Laderberg O'Sullivan and Peter J. Eyre. "Government Contracts Bid Protests: Strategy and Practice Pointers," Webinar, Federal Publications Seminars (January 2010). Co-Speakers: Amy Laderberg O'Sullivan and Puja Satiani. "Contracting with Small Businesses," Ounce of Prevention Seminar (April 2008). Co-Speakers: Richard Arnholt, Amy O’Sullivan, and Marc Efron. "Teaming Agreements: What to Expect and What to Avoid," INPUT Teaming Event (March 2008). Co-Speakers: Amy O’Sullivan and Marc Efron. "Key Ethics and Compliance Issues," National Job Corps Association Conference (July 2007). Co-Speakers: Angela B. Styles, Shauna E. Alonge and Amy O’Sullivan. "Bid Protest Trends," Western Ounce of Prevention Seminar (May 2007). Co-Speakers: Elizabeth W. Newsom, Amy Laderberg O'Sullivan and Thomas A. Kruza. "Impact of the New SBA Size Regulations on Mergers and Acquisitions," Ounce of Prevention Seminar (April 2007). Co-Speakers: Amy Laderberg O’Sullivan, John McCarthy, and Susan M. Gabay. "Reading Between the Lines of Business: A Search for Competition and a Role for the Private Sector," INPUT FedFocus (December 2006). Speaker: Amy O’Sullivan. "Unique Past Performance and Small Business Considerations for Joint Ventures and Teaming," INPUT Teaming Event (June 2006). Speaker: Amy O’Sullivan. "Contractors on the Battlefield: Limiting Liability and Protecting the Company in a War Zone," Ounce of Prevention Seminar (April 2006). Co-Speakers: David Hammond and Amy Laderberg O’Sullivan. "Past Performance: Lessons Learned and a Practical Guide to Improving Evaluations," INPUT Past Performance Seminar (April 2006). Co-Speakers: Elizabeth Newsom and Amy O’Sullivan. "Contracting in a Real Minefield – Iraq," Ounce of Prevention Seminar (April 2005). Co-Speakers David Hammond and Amy Laderberg O’Sullivan. "Risks and Challenges in State and Local Procurements," INPUT MarketView (March 2005). Co-Speakers: Jim Regan and Amy Laderberg O’Sullivan. "Past Performance Evaluation in Government Contracts: Recent Developments," Federal Publications Seminars LLC (2005). Speaker: Amy Laderberg O'Sullivan. "Basics of Government Contracting," Federal Publications Seminars LLC (2004). Speaker: Amy Laderberg O'Sullivan. "Competitive Sourcing Developments," Ounce of Prevention Seminar (December 2003). Co-Speakers: Ken Bruntel, Daniel R. Forman and Amy Laderberg O’Sullivan. "A-76 Contracting and Competitive Sourcing," Federal Publications Seminars LLC (2003). Speaker: Amy Laderberg O'Sullivan. "Changes to the Size and Socioeconomic Status Recertification Regime Lead to Questions and Confusion," Crowell & Moring's Government Contracts Legal Forum (May 29, 2018). Authors: Amy Laderberg O'Sullivan, Peter J. Eyre, Olivia Lynch and Elizabeth Buehler. "The Government's Big Stick For Fighting Small Biz Fraud," Law360 (January 23, 2018). Authors: Amy Laderberg O'Sullivan, Stephen Byers and Jason Crawford. "Living in Harmony: Notable Changes to Synchronize the 8(a) and Small Business Mentor-Protégé Programs," Crowell & Moring's Government Contracts Legal Forum (July 27, 2016). Authors: Amy Laderberg O'Sullivan, Olivia Lynch, and Elizabeth Buehler. "SBA Opens the Floodgates: The Mentor-Protégé Program Expands to All Small Businesses," Crowell & Moring's Government Contracts Legal Forum (July 26, 2016). Authors: Amy Laderberg O'Sullivan, Olivia Lynch, and Elizabeth Buehler. "The SBA Final Rule Implementing the FY2013 NDAA Part IV: New Recertification Requirement Following Mergers & Acquisitions," Crowell & Moring's Government Contracts Legal Forum (June 24, 2016). Authors: Amy Laderberg O'Sullivan, Olivia Lynch, and Joelle Sires. "The SBA Final Rule Implementing the FY2013 NDAA Part III: What You Need to Know About Affiliation and Joint Ventures," Crowell & Moring's Government Contracts Legal Forum (June 15, 2016). Authors: Amy Laderberg O'Sullivan and Olivia Lynch. "The SBA Final Rule Implementing the FY2013 NDAA Part II: The Changes to Small Business Subcontracting Plans Have Immediate Impacts on Small and Large Businesses," Crowell & Moring's Government Contracts Legal Forum (June 9, 2016). Authors: Olivia Lynch and Amy Laderberg O'Sullivan. "The SBA Final Rule Implementing the FY2013 NDAA Part I: SBA Overhauls the Method for Calculating Compliance with the Limitation on Subcontracting Requirement," Crowell & Moring's Government Contracts Legal Forum (June 7, 2016). Authors: Olivia Lynch and Amy Laderberg O'Sullivan. "Government Contracts Bid Protests: A Practical and Procedural Guide, 2015 ed." Thomson Reuters. Contributors: Amy Laderberg O'Sullivan, Jonathan M. Baker, Olivia L. Lynch. "Significant Changes on the Horizon to Key SBA Regulations, Including the Limitations on Subcontracting," Crowell & Moring's Government Contracts Legal Forum (January 15, 2015). Co-Authors: Amy Laderberg O'Sullivan and Olivia Lynch. "FAR Council Issues Proposed Rule Changes for Protests of Small Business Status," Crowell & Moring's Government Contracts Legal Forum (March 11, 2013). Co-Authors: Gordon Griffin and Amy Laderberg O'Sullivan. "Government Contracts Bid Protests: A Practical and Procedural Guide," West Publications (2012-2013 Edition). Contributors: Amy Laderberg O'Sullivan and Jonathan M. Baker. "Government Contracts Bid Protests: A Practical and Procedural Guide," West Publications (2010-2011 and 2009-2010 editions). Contributors: Amy Laderberg O'Sullivan and Puja Satiani. "Dodging The Dicey Defense Base Act Issues?" International Government Contractor, Vol. 4, No. 12 (December 2007). Author: Amy Laderberg O'Sullivan. "The “Dirty Little Secret”: Why Class Actions Have Emerged as the Only Viable Option for Women Inmates Attempting to Satisfy the Subjective Prong of the Eighth Amendment in Suits for Custodial Sexual Abuse," 40 Wm. & Mary L. Rev. 323 (1998). Author: Amy Laderberg O'Sullivan. "GAO Protest Jurisdiction over Most Task Order Awards by Civilian Agencies Ends Today," Government Contracts Bullet Points (September 30, 2016). Contacts: Daniel R. Forman, Thomas P. Humphrey, Amy Laderberg O'Sullivan, John E. McCarthy Jr.
"SBA Cannot Replace Agency Responsibility Findings with Its Own," Government Contracts Bullet Points (September 30, 2011). Contacts: Amy Laderberg O'Sullivan, John E. McCarthy Jr.
"SBA Proposes Important New Section 8(A) Regulations," Government Contracts Bullet Points (November 5, 2009). Contacts: Marc F. Efron, Amy Laderberg O'Sullivan, John E. McCarthy Jr.